Yeah, it is. But a lot does depend on the target site. This particular client has tweaked his site like no other I've seen. I'm showing off the numbers to prove it's possible to use cheap feeder effectively. 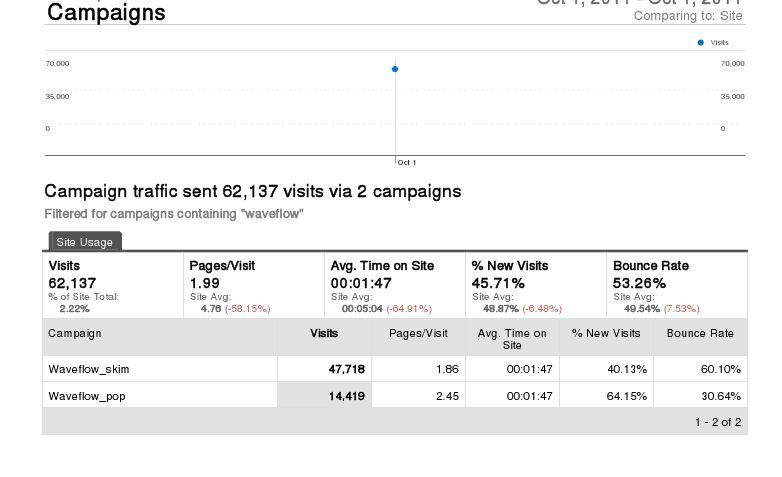 little weird the new visits is only 45%, but maybe thats due to the sites size? Last edited by arock10; 10-10-2011 at 03:02 PM.. Yes, that's partially due to their size. But, they have also been buying traffic from us for *years*, so even though our traffic is 30 day uniques, there will be some re-visits after such a long time. While you're waiting for a buyer you can monetize with our new PPC program. bump. still got some of this available. We've got some available again - about 200K/day - great for feeding tubes. I'll take 100k as a test. Would this be good for blogs as well? Or just tubes? If you geo-targetted for premium countries, yes, this would be good for blogs. In fact, I've found that popunders actually do better than skimmed traffic on text heavy sites (like blogs). pls send me details I am interested! We've got about 25K-30K/day left of this traffic. If you want to take the rest off our hands, I'll make you a good deal. We have no real minimum. If you already have an account with us, you can order as little as $10 worth. Most is sold, but I've got about 50K/day looking for a home. Still got a small amount of the popunders available. We also can do skimmed traffic that performs similarly. Bump again for end of summer. I've got a good selection of both popunder and skimmed feeder available. Another season, another bump. We can currently do about 100K+/day of this traffic. Send me an email ([email protected]) or ICQ:143720824 to get this set up in your account. Just added you on ICQ. We have some of this traffic available again, as well as good geo-targetted popunders as well. Bump. Got some nice traffic available.